Mid-Week Focus this week features a visually based approach to helping elementary school students who struggle with language arts. Writing can be a struggle for a lot of students. You know who they are in your class. The teachers I met with yesterday to plan my upcoming week as a writer in residence with their third grade classes were quick to point out how their students struggle with language mastery. “We need you to help with sentence writing before non-fiction full story writing, they told me. 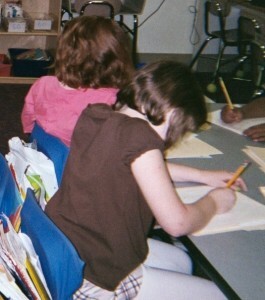 “Some of our kids aren’t anywhere close to writing complete personal narratives.” they lamented. …Why the puzzle approach works really isn’t puzzling at all. Kids love puzzles. Puzzles form pictures. When a teacher describes writing as the process of penciling in one piece at a time to construct a whole picture – a story – a report – expository writing – any kind of writing – students get the picture! …the FOCUS is like the PHOTO on the cover of the puzzle box. If it’s colorful and attention-getting, it will attract. …each sentence needs to be strong. Each sentence is an important part of the picture. Write with active verbs and the action brings the picture to life. …sentences become paragraphs. It’s important to write “transition sentences” that link one to another, like pieces of a puzzle need to fit together. …paragraphs become complete stories, or reports, or complete opinions (Core Writing Skills). Each paragraph is a big puzzle piece. They have to be organized in a logical sequence so that the picture the puzzle forms comes together and is clear! BUILD STUDENTS’ CONFIDENCE PUTTING WORD PUZZLES TOGETHER – When kids get the picture of how to write as if they were putting a puzzle together, it’s a happy moment when the puzzle is complete. Praising their efforts helps build self-confidence. Confidence is key in effective communication. Confidence shines through in the written word, as well as in the spoken word. Students who struggle with writing and reading especially benefit from confidence-boosters. HELP STRUGGLING WRITERS – To help struggling fourth and fifth grade students master core writing concepts, one teacher I worked with recently posts eye-catching graphics on one of her classroom walls. The set features the word W-R-I-T-E. Collectively, the posters make an acrostic poem – another kind of word puzzle. Look for other resources online to help struggling student writers. 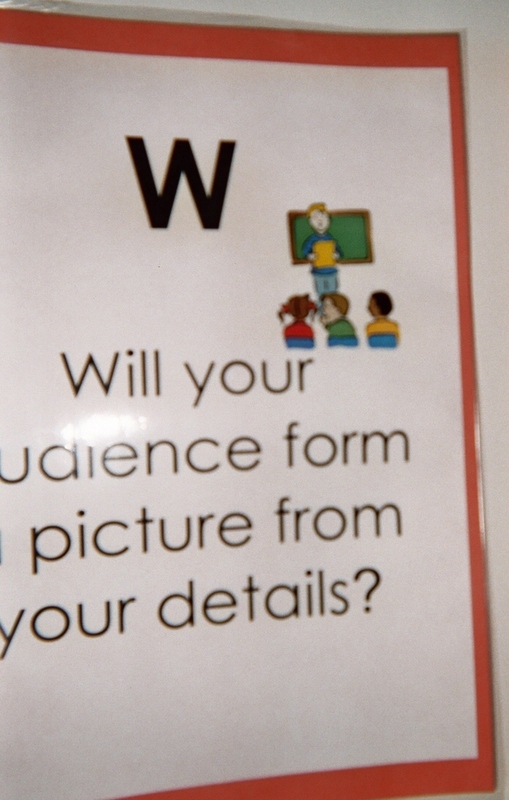 Teachers who use visual aids, like the posters that form an acrostic poem, find that when they hold up the W-R-I-T-E posters one at a time and ask the students to re-tell their story, the posters serve as effective prompts to help struggling writers. Students elaborate more when they have visual cues – puzzle pieces to put together. How many word pictures can we form? When you ask your class to consider this, as you introduce the puzzle approach to writing, invite them to close their eyes and picture this…the puzzle shelves of their favorite toy section in a favorite store. Wow! The opportunities are endless. Big puzzles, little puzzles, every one of them offering a view of the world. Do you keep puzzles in your classroom for student use? How do you use puzzles? Please send comments; share this link; and subscribe. Attentionology for K – 5 Teachers will be back here on Monday. 6 Pings/Trackbacks for "It’s a Puzzle! – Helping Struggling Writers"